Psychedelic PR is making a comeback. Founded inÂ 1968 in San Francisco Biggles & Joy was a pioneer in psychedelic public relations, the practice of publicity by osmosis and transference of cosmic thoughts through mind altering experience. The work of Biggles & Joy has permeated the work of dozens of breakthrough highly-recognizable PR campaigns in the past several decades.Â Thought to have disappeared with the aging and mental deterioration of Dr. Richard Alpert (Ram Dass), psychedelic PRÂ is being resucitated by social media devotees who seek ways to manipulate behavior through surreptitious Internet applications. In the following vintage videos we see the process of two account executives in client creative sessions. The one with the “orange” led to a major campaign by an online consumer bank that is proud of being “orange.” The “paisley”revelation led to a Ralph Lauren installation in Barney’s for the 1969 Fall collection. The third video down is Dr. Richard Alpert, erstwhile CEO of Biggles & Joy during its heyday. There is a droll academic introduction to the interview but then Dr. AlpertÂ goes into a brilliant explanation of what will someday become Twitter,Â a means by which all beings can connect on a kinetic molecular level and there are no boundaries between all living creatures. Alpert had LSD over 300 times before he co-founded the firm and they always pitched new business and did most client work while tripping. Are we prepared to renew the Summer of Love for PR? Click link to see videos. this subject is more important than the majority of humans currently realize. the tale of psychedelic enlightenment with serious backing is critical to human evolution. our very ability as mammals or even physical beings is dependant upon our ability to understand the role we play as creators and created. the mind block of religion or social control must be overcome through chemical changes in the brain. we are biochemical machines and our inability to change as a species has to do directly with a chemical makeup in our brain. social roles and cues reinforce a mindstate which can only be reprogrammed through a chemical change. not only do psychedelics create a chemical change but they seem to point to a future we can all recognize as benevolent. 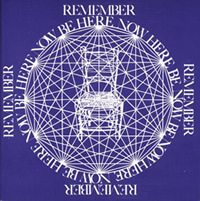 Richard Alepert or Ram Dass has changed his image considerably from the 60s, He’s hardly recognizable as the same person.